The release provided the first look into rates for consumers buying individual insurance on the 36 federally run exchanges. The national average premium for the benchmark plan will be $328 a month before subsidies, 16% less than projected by the Congressional Budget Office. The benchmark is the second-lowest cost "silver" policy for 48 states, upon which federal subsidies are based. Subsidies will offer maximum caps for low- and moderate-income Americans in the benchmark plans. 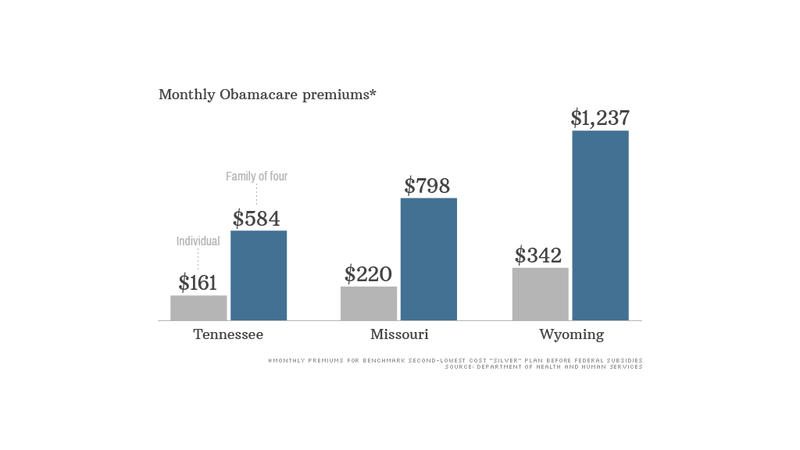 But for those who opt for other levels of coverage, or make too much to qualify for subsidies, prices vary widely based on one's age, income and state. For instance, a 27-year-old living in Dallas making $25,000 could pay as little as $74 a month for the cheapest "bronze" plan after subsidies, according to the Department of Health and Human Services. But a 60-year-old in Wyoming who makes more than $46,000 a year -- too much to get a tax credit -- could pay as much as $758 for a similar plan. The majority of people uninsured today will be able to find a policy for $100 or less a month, taking into account subsidies and Medicaid eligibility, the administration said. Consumers will be able to start enrolling in the exchanges on Oct. 1, with coverage beginning in January. Starting in 2014, nearly everyone must have insurance -- either through their jobs, government programs or the individual market -- or face a penalty. The rates released Wednesday do not apply to those who receive insurance through their employer. Most people who are expected to sign up for coverage in the exchange have incomes up 400% of poverty and will therefore be eligible for federal subsidies. The lower your income and the more expensive the benchmark plan in your state, the larger your subsidy. For instance, those making $17,235 a year will pay no more than 4% of income, or $57 a month, for the benchmark plan. Those with incomes between $34,470 and $45,960 will pay a maximum of 9.5% of income, or $364 a month, for that benchmark plan. The federal government will cover the rest. But these consumers can put their subsidy toward a cheaper plan than the benchmark policy and pay less per month. They can also choose a more expensive plan and pay more. Additional information, including the names of insurers offering plans on the federal exchanges and the deductibles and co-pays associated with the policies, has yet to be unveiled. The department just said that the number of plans ranges from 6 to 169, depending on the area. Consumers will have a choice of as few as one insurer and as many as 13, based on where they live. In states where there are only a handful of insurers, premiums are much higher, said Gary Claxton, vice president at the Kaiser Family Foundation. In the three most expensive states, Wyoming, Alaska and Mississippi, residents will only have a choice of two insurers. Check out Kaiser's calculator to estimate your subsidy amount. 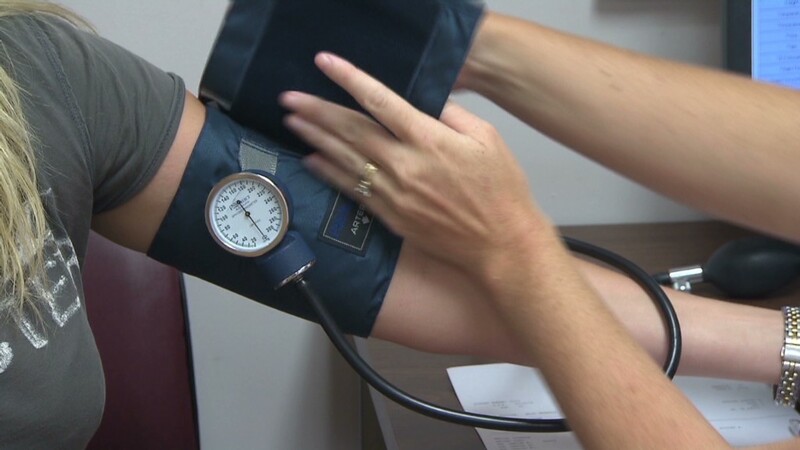 While the administration's report looks only at monthly premiums, a health care advisory firm issued a report Wednesday saying that consumers in the exchange will face high out-of-pocket costs in the bronze- and silver-level plans. These policies have lower deductibles than gold and platinum plans, but carry higher cost sharing burdens. The average silver plan will carry a $2,550 deductible and $30 primary care co-pay, while the typical bronze plan will have a $5,150 deductible and $39 co-pay, according to Avelere Health. The firm looked at policies in six states that have released detailed data.